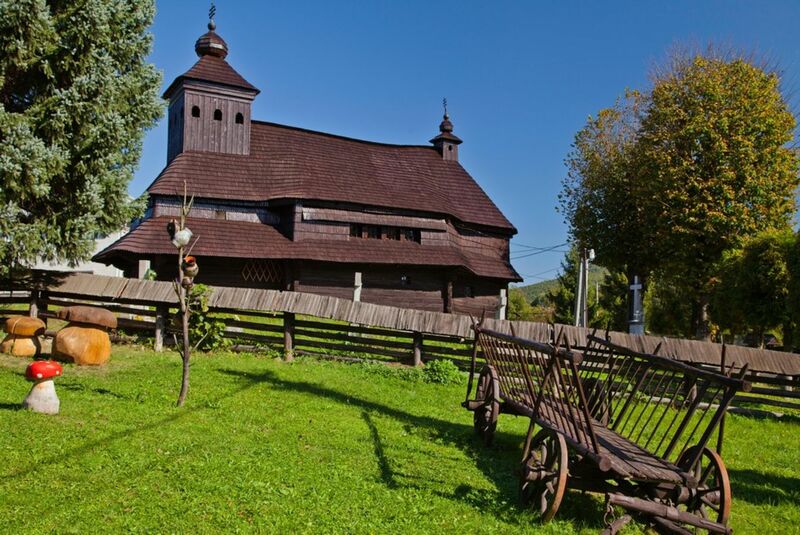 Slovakia’s location in Central Europe, at the crossroads of different cultures, is undoubtedly one of the reasons why we can find such a high number of wooden churches of original folk architecture. 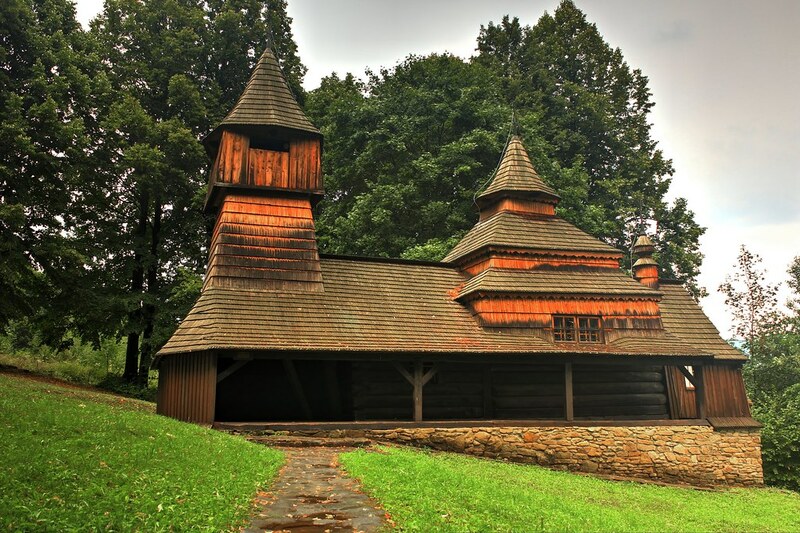 According to historical records, Slovakia had more than 300 wooden churches in which the Western Roman culture overlapped with the Eastern Byzantine culture. Currently, there are around 50 wooden churches coming from 16th to 18th century. Most of the churches are located in eastern Slovakia. 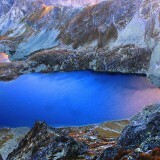 They were usually built outside the village, on places that looked very difficult to reach. The only inexpensive and available material that could be used was wood. The entire interior and exterior to the smallest detail was therefore made of this material. An interesting feature of these buildings is that not a single nail was used during their construction. 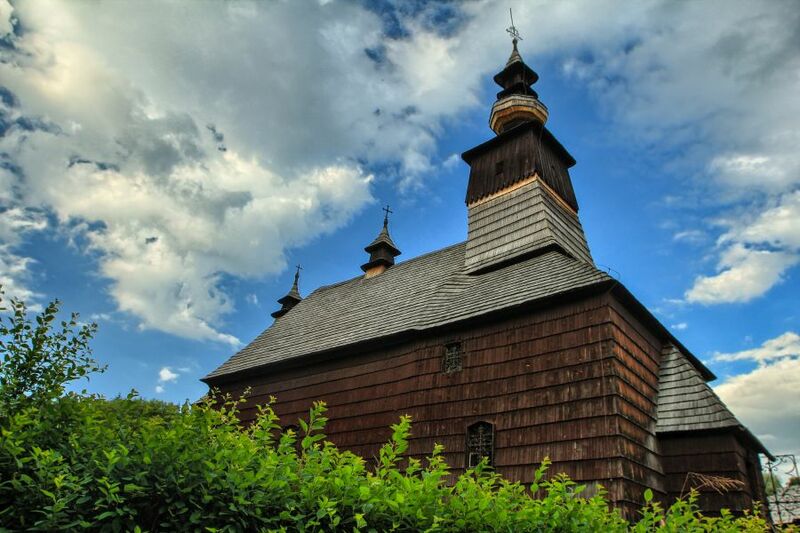 Eight wooden churches of the Slovak part of Carpathian Mountain Area were inscribed on the UNESCO World Heritage List in 2008. Their list consists of two Roman Catholic, three Evangelic and three Greek Catholic churches built between the 16th and 18th centuries.They bear testimony to the development of religious architecture and rich local traditions adapted to specific regional context. 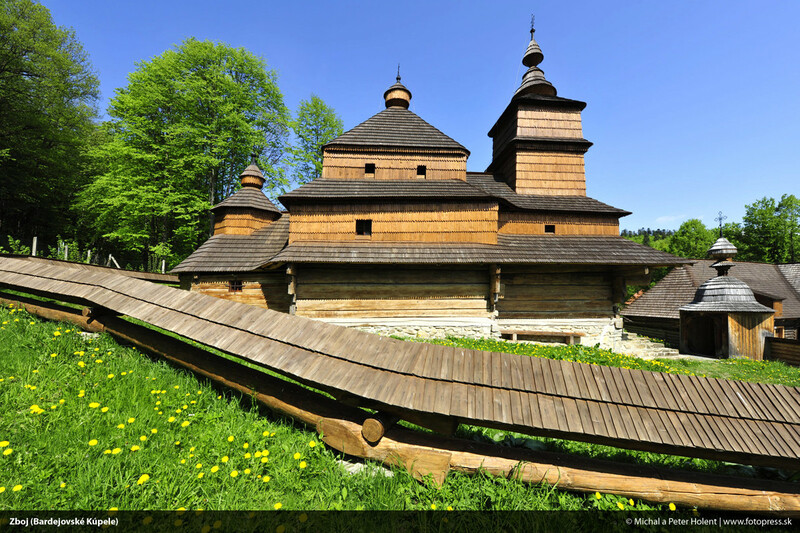 This wooden church originating from the village of Matysová is located in the open-air museum of folk architecture in Stará Ľubovňa. This Greek Catholic church was built in 1833 and transferred to the museum in 1979. 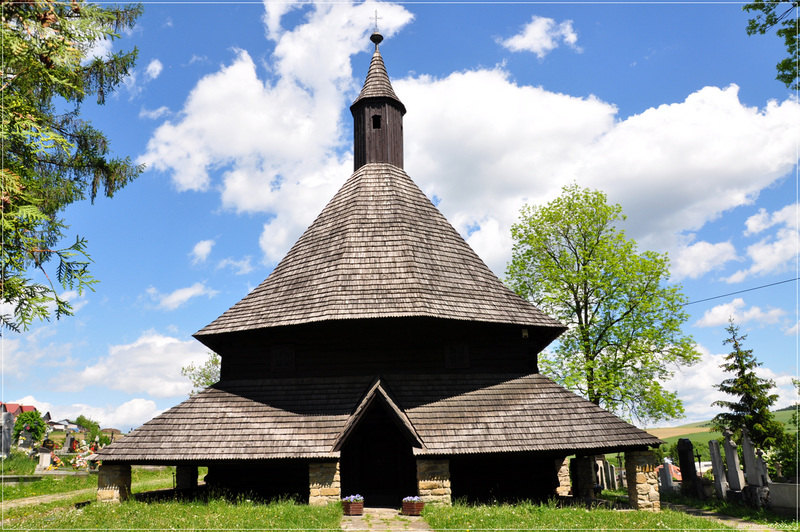 This is one of the oldest wooden churches in eastern Slovakia. The Greek Catholic Church of Saint Nicholas was built in 1658 in the village of Bodružal. The church was inscribed on UNESCO List of Cultural Heritage. 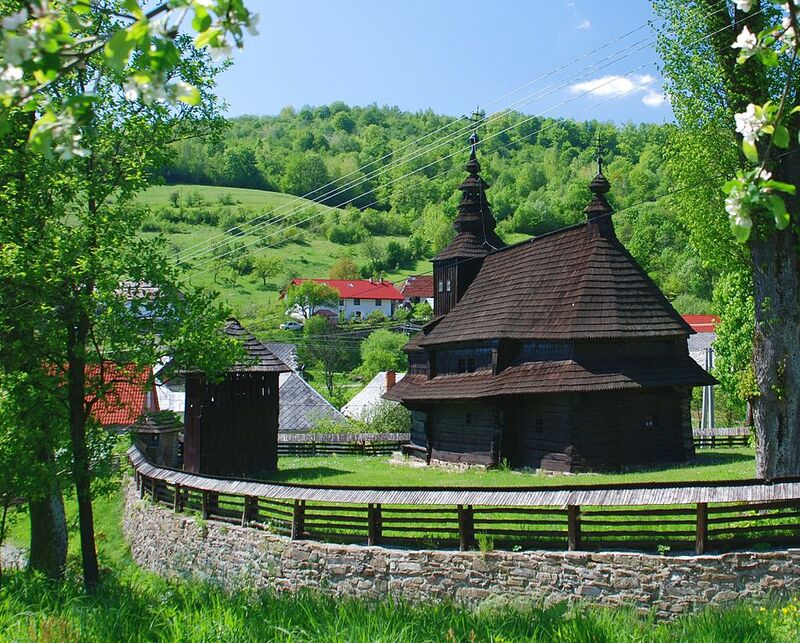 This wooden church was built in 1693 in the village of Paludza in the shape of a cross. During the construction of the biggest water reservoir in Slovakia, Paludza and other twelve villages were completely inundated. More than 4000 people were forced to leave their houses to enable the construction of such a huge dam. 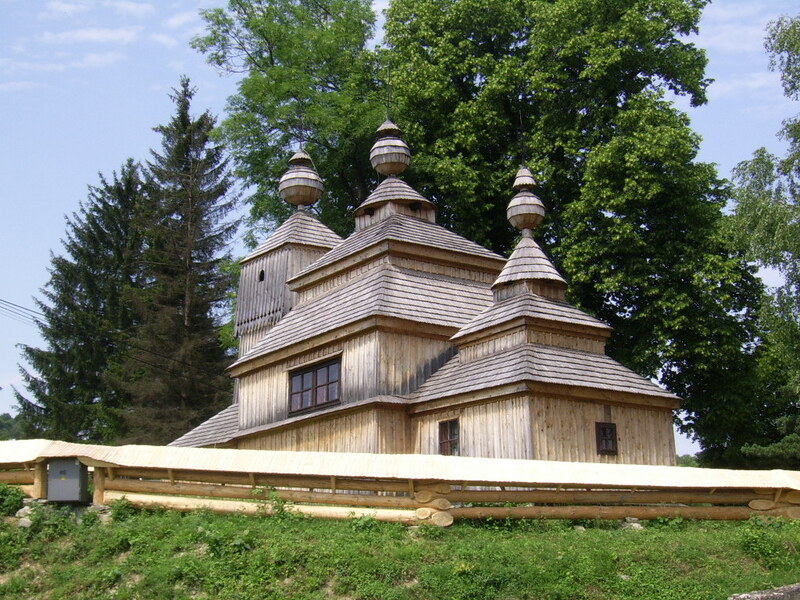 Even one of the biggest wooden churches in Central Europe had to be moved to the nearby village of Svätý Kríž. The ground area of the church in the shape of a cross can accommodate an unbelievable number of 6 000 visitors! This Greek Catholic church was built in 1745 on the borders between Slovakia and Ukraine, in the village of Nová Sedlica. During WWII, the church was badly damaged. 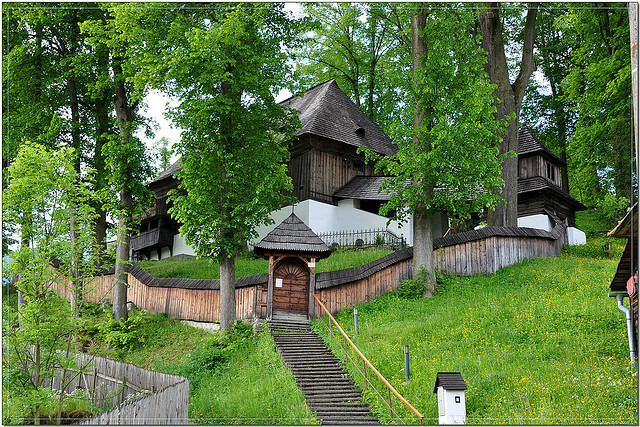 It was transferred to the Open air museum in Humenné in 1977. Believe or not, this church was built in the second half of the 15th century. It is a Roman Catholic church situated in the local cemetery of the village of Tvrdošín. Every visitor falls in love with its wonderful dome paintings and a Gothic and Baroque interior. 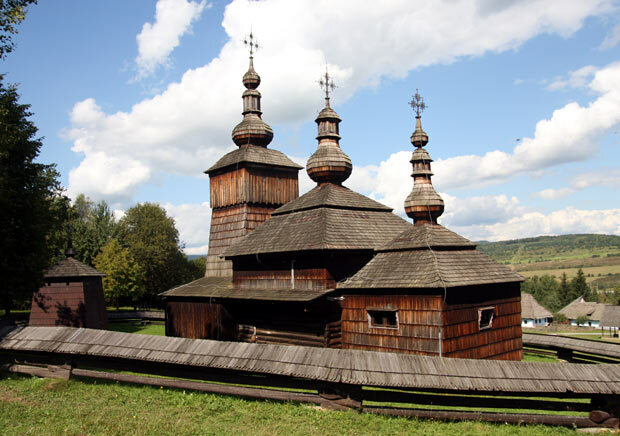 The Greek Catholic wooden church of St. Nicholas belong to the most beautiful wooden churches in the region of Bardejov. 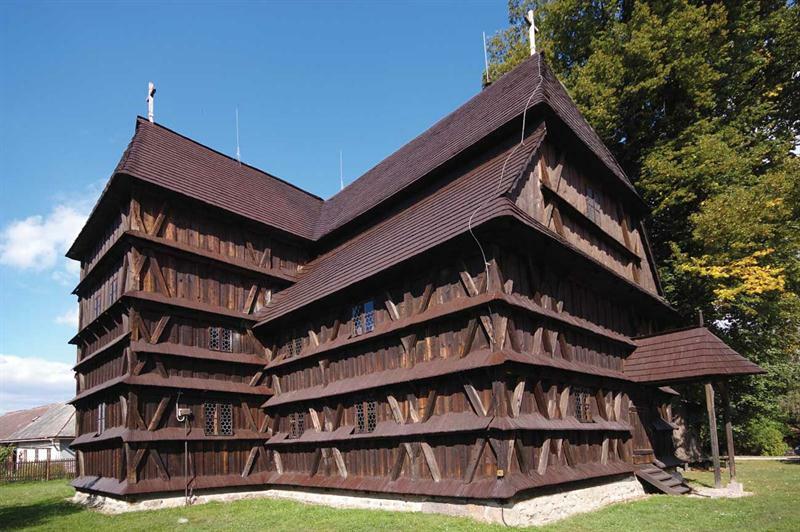 It was built in 1775 in the village of Zboj and severely damaged during WWII, in the middle of the hardest battles. Despite the fact that the damaged church was later restored, local people built a brick church in the meantime. 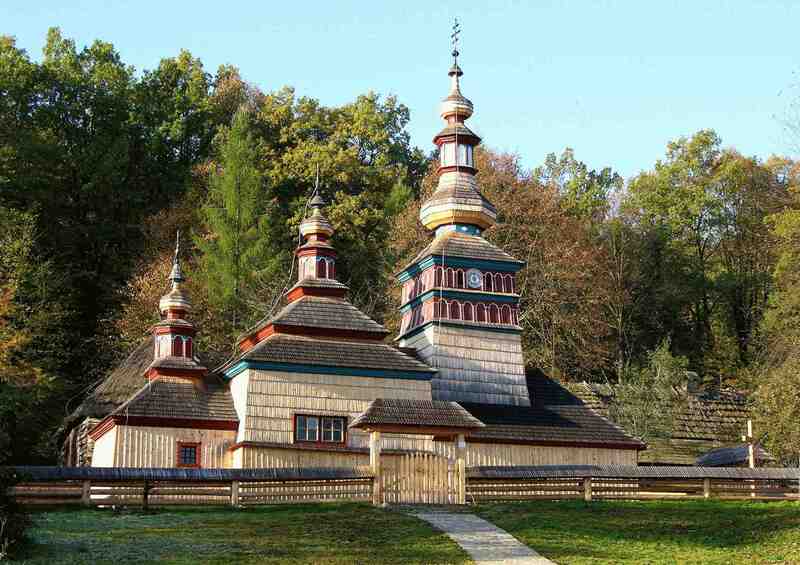 This wooden church from Zboj was dismantled in 1967 and rebuilt again in Bardejovské Kúpele museum. This evangelical church is located in the central Slovakia, not far away from the town of Zvolen. It was built in 1726. 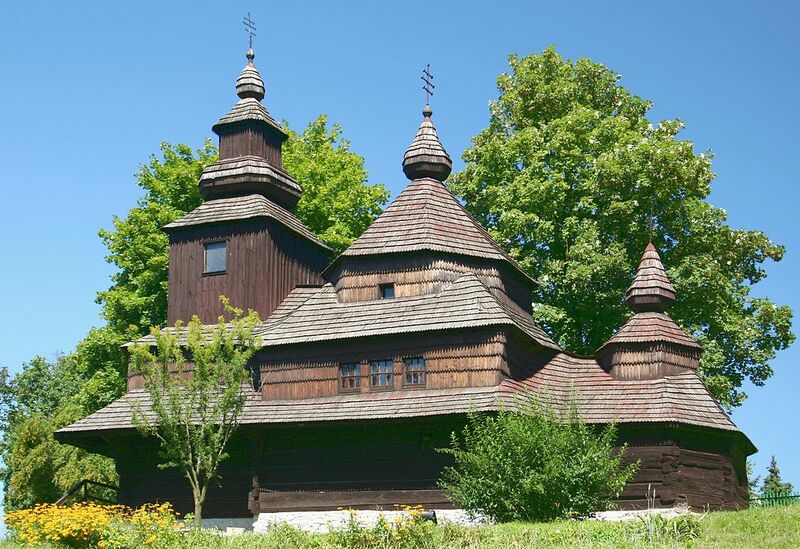 It is the only wooden church in Slovakia exhibiting Scandinavian architectural influences, for instance in the beam connections and the arrangement of the columns. How these features, which have contributed significantly to the structure’s longevity, arrived in Hronsek is still a mystery. The Greek Catholic church in Hunkovce dates back to the end of 18th century. The church stand on the hill in the middle of the village, surrounded by a local cemetery. Built in 1770, the Greek Catholic church in Miroľa is dedicated to the Protection of the Mother of God. The church was completely renovated in 2005 – 2008 and houses very rare books from the 17th century. The Roman Catholic wooden church of St. Francis of Assisi stands on a hill in the middle of the village of Hervartov. 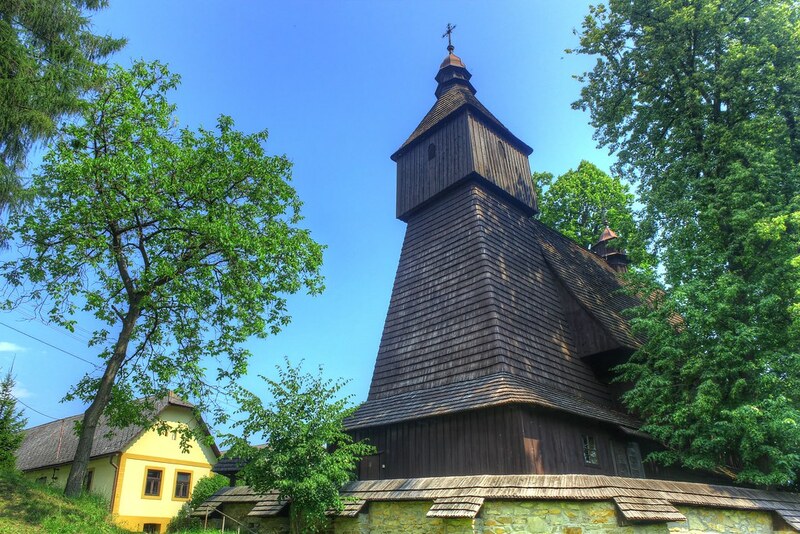 It was built in the second half of the 15th century and together with other 7 wooden churches in Slovakia, it was also inscribed on UNESCO List of Cultural Heritage. The Greek Catholic church dedicated to the Protection of the Mother of God was built in 1938 on the place where the original church from the 18th century was burned down during the WWI. Although the village of Nižný Komárnik witnessed cruel fights during the WWII, the church was damaged only a little. 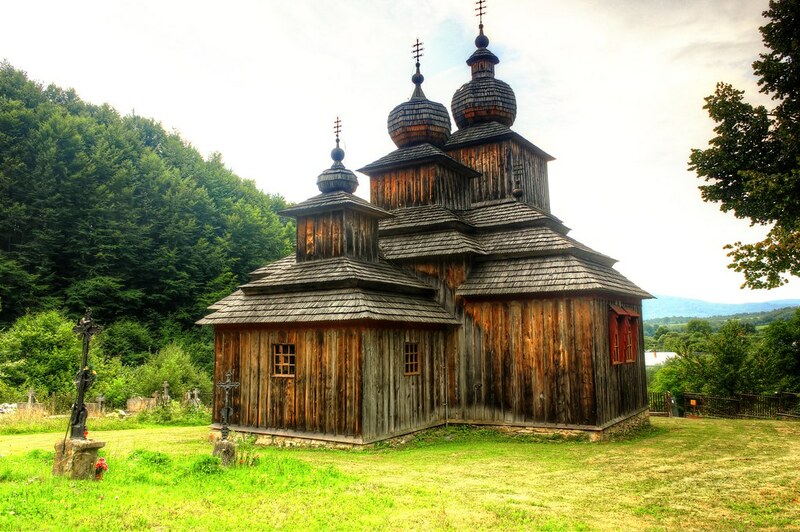 The wooden Greek Catholic church dedicated to St. Cosmas and Damian s originally built in the village of in Nová Ves. It was bought, dismantled, transferred and built again in 1707 by the local people from the village of Lukov. 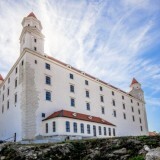 This evangelical church belongs to the most preserved sacral buildings in Slovakia. It was built in 1717. The wooden building is made of yew and red spruce wood, without using a single nail. The ground plan is in the shape of a Greek cross. The interior of the church is built in Baroque style. 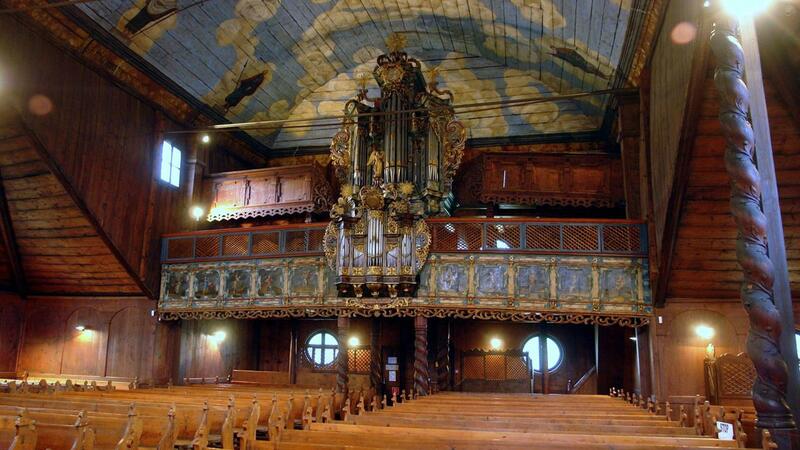 One of the most valuable parts of the church is the organ with wooden pipes. 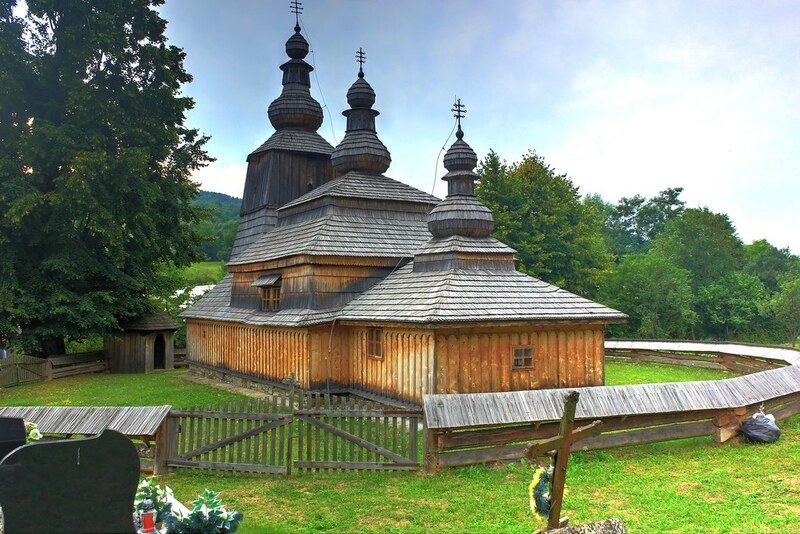 This wooden church of St. Michael the Archangel is located in the village of Uličské Krivé, only few meters from the borders of Slovakia with Ukraine. The Greek Catholic church was built in 1718 and it is a National Cultural Monument of Slovakia. 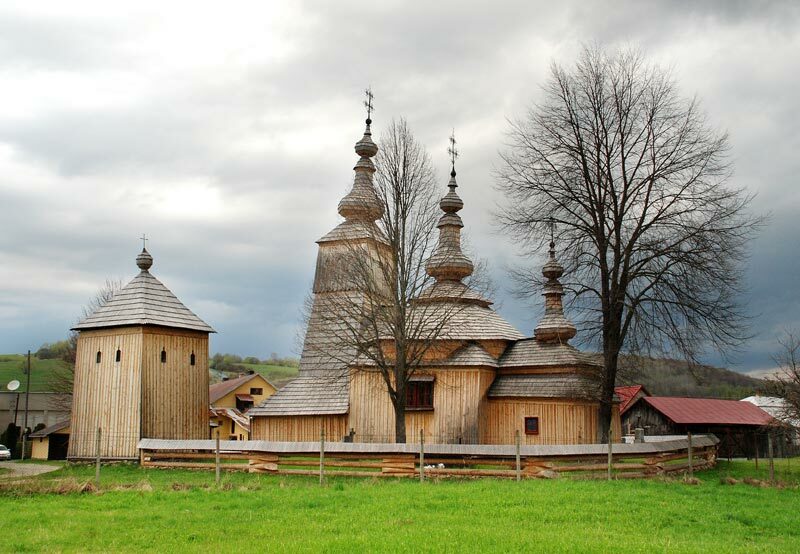 The wooden church in the village of Ladomirová belongs to the most representative Greek Catholic churches in Slovakia. It was built in 1742, and dedicated to St. Michael the Archangel. During WWII, the village and the church were severely damaged. After the restoration in 1946, the church was damaged again by a massive storm in 1957. It was renovated in 1958 and 2009. The original Greek Catholic wooden church was built in 1701 and destroyed by fire in 1727. Few years later, in 1730, the local people from the village of Mikulášová built the new wooden church on the place of the original one. The church was dedicated to the Protection of Theotokos. This church was transferred in 1931 to Bardejovské Kúpele. This church was built in 1740 and dedicated to St. Michael the Archangel. Originally Greek Catholic church was transformed to an Orthodox church in 2000. 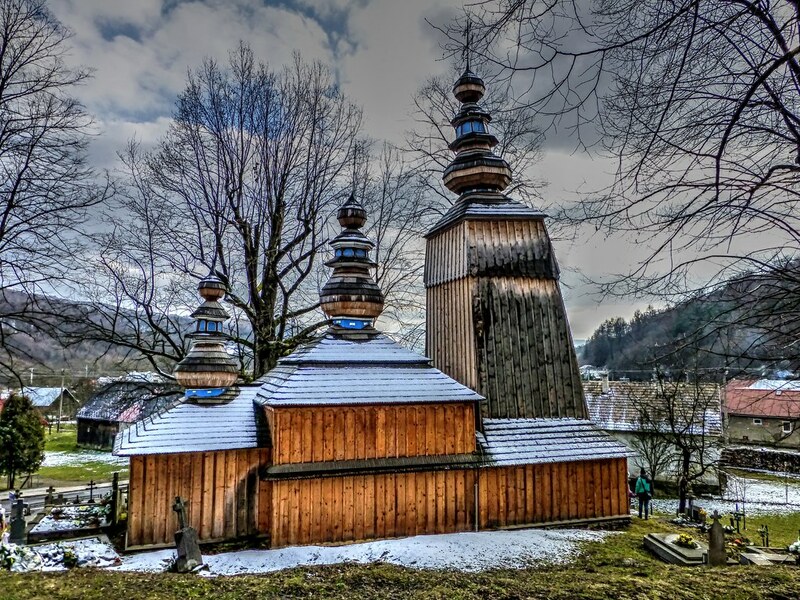 This is one of the few wooden churches located in Orava region. It was built in 1689 as a simple wooden rustic structure without tower and bells. The beautifully painted interior dates back to the 17th and 18th century. This wooden church was built in 1766 and dedicated to St. Paraskieva. During WWII, the church was vastly damaged, afterwards dismantled and transferred to the open-air museum in Svidník in 1961. Due to the lack of financial sources, it was only possible to build a true copy in 1986. This small Greek Catholic wooden church was built in 1720 and it located in the small village of Ruská Bystrá, a few kilometres from the Ukrainian borders. The church is inscribed on UNESCO World Heritage List, mainly because of its extremely well-preserved paintings and icons. The Greek Catholic church of St. Paraskieva can be found in the tiny village of Dobroslava. It was built in 1705 but badly damaged in WWII. During the reconstruction, its architecture was enriched by two side chapels to get a floor plan in a shape of a cross. The last reconstruction took place in 2002 when the roof and the coat were replaced. 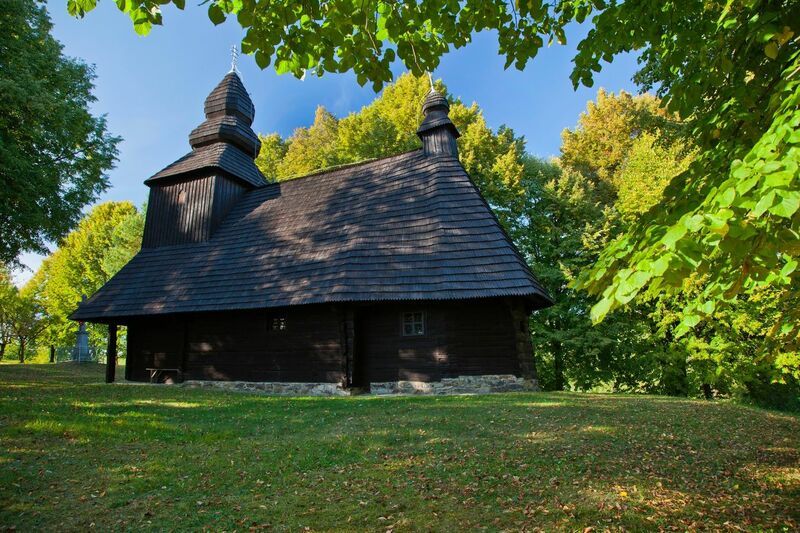 Have you already visited wooden churches in Slovakia? 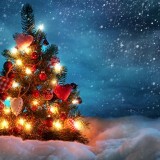 What is your favorite? Please comment below and share your experience. 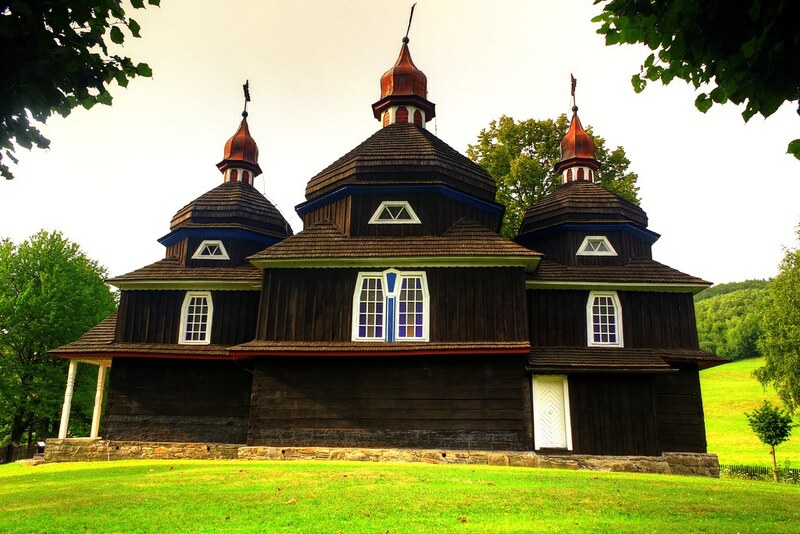 Would you like to experience some of the wooden churches with a local guide? 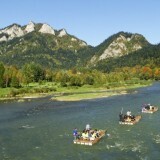 Don’t hesitate and drop us a line at hello@timeforslovakia.com and we prepare for you an unforgettable journey in Slovakia .